You get the byline; provide your preferred name. No hyperlinks. Provide short URLs in parenthesis; Bit.ly preferred. CourseSource publishes original works centered on scholarly teaching. 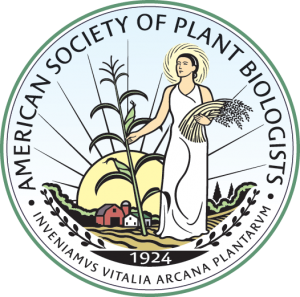 ASPB co-manages the Plant Biology Learning Framework. This high-quality format documents scholarly teaching efforts, accomplishments and innovations. Authors retain copyright (Creative Commons 4.0 License) and pay no page charges. CourseSource publishes Lessons; Science Behind the Lesson; Reviews; Essays; Teaching Tools and Strategies; and Announcements. Plantae members earn Grow Points for adding resources. Infuse plant science resources into this online community which serves life science educators at all levels. The community and educational resources found on this site are free and open to educators worldwide. Create cross-curricular learning by sharing your plant-centric resources. Help your Society go viral! Items to use, distribute or display. Items to offer for independent preview, flipped classrooms or follow up. The K-12 Roots & Shoots and Higher Education pages offer many options created by ASPB and/or its committees, grant winners, and partners. The Plantae Store offers other resources ranging from (free) bookmarks for the 12 principles of plant biology to the History’s Harvest – Where Food Comes From DVD. Contact Winnie Nham (education@aspb.org) for questions or bulk order rates and requirements.